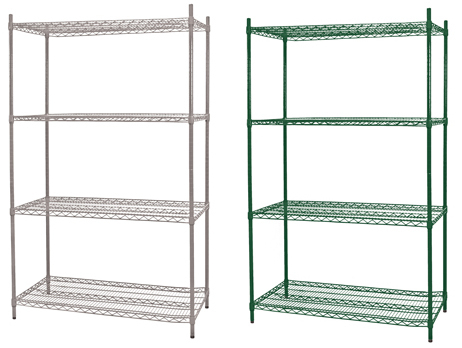 Wire shelving is primarilly used in restaurants, retail, food manufacturing, laboratories, and computer rooms. There are many finishes available so it can be used in fridges and freezers, or the standard bright chrome provides an attractive finish. 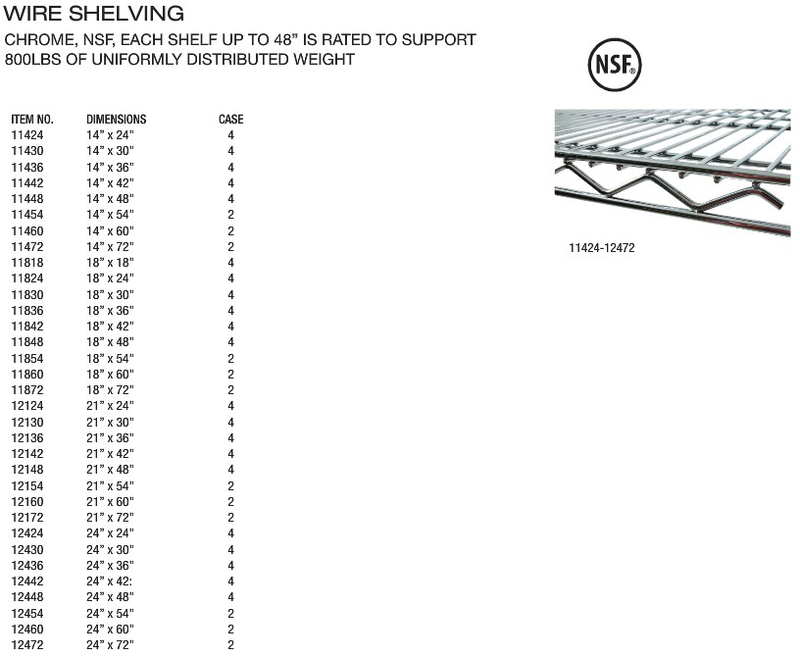 With many sizes and options, wire shelving provides you endless solutions for your storage needs. See below for a list of sizes available.